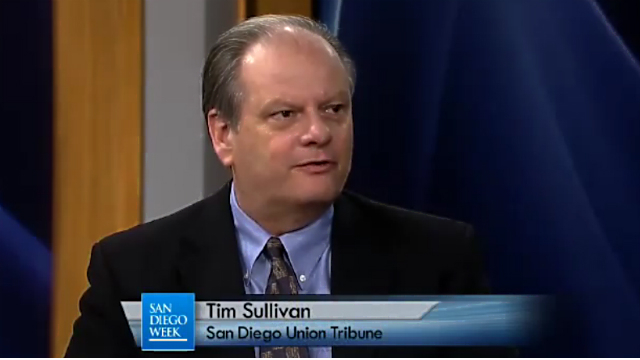 Tim Sullivan, a former franchise sports columnist for U-T San Diego, has dropped hints he’d be willing to return to the newspaper that fired him three years ago. But Sullivan, 60, now a Louisville sports columnist, said he’d entertain offers. He stressed that his letter came in response to CityBeat editor Ron Donoho’s queries in the wake of the U-T sale to Tribune Publishing. San Diego doesn’t have the Kentucky Derby, but its other features might prove seductive to Sullivan, a baseball expert with an active Twitter feed. A native of the Washington, D.C., area and a 1976 graduate of the University of Missouri, Sullivan, 47, worked briefly for the Tulsa Tribune before joining The Enquirer in January 1977. He served as beat writer covering the University of Cincinnati, the Bengals and the Reds before being named a columnist in September 1984. He has been honored twice in recent years by The Associated Press Sports Editors in the top national sports journalism contest. In his newspaper’s circulation category, Sullivan placed in the Top 10 in Column Writing in 1999 and won first place for Best News Story in 2000 for his coverage of the Ken Griffey Jr. trade. 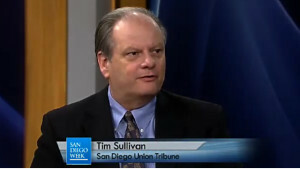 Ken Stone, a former sports copy editor at The San Diego Union-Tribune, was a colleague of Sullivan.